The Capitol Hotel Tokyu, a luxury property within a stone’s throw of Tokyo's iconic Imperial Palace, is pleased to announce a unique collaboration with house maker Aqura Home in the launch of the world’s first “Wooden Straw Project” – development and production of drinking straws made from curling thinly sliced domestic timbers cut down in forest thinning operations. The Wooden Straw Project was created based on a wooden straw idea conceptualized by environmental journalist Yuri Takeda during her reporting of the heavy downpours in southwestern Japan in July 2018, which resulted in widespread, devastating floods and mudslides in the region. Together with Takeda, Aqura Home and The Capitol Hotel Tokyu established a partnership to raise awareness of sustainable foresting and forest conservation by means of wooden-straw production. Aquara Home has led the planning development, with the Capitol Hotel Tokyu overseeing production efforts. As a flagship of the Tokyu Group, The Capitol Hotel Tokyu is aiming to eliminate all plastic straws at its restaurants and bars by April 2019. The wooden straws were first introduced at the hotel’s restaurant, “ORIGAMI” (3F) this past January 16. The Wooden Straw Project builds on the environmental sustainability programs the company has in place and the expansion of the project will help sustainable forest conservation and further drive the company’s efforts to reduce environmental impact. “We are pleased to announce our new wooden straw initiative, which was taken into account for the conservation of the environment while maintaining the highest quality of service for our guests. We, as a hotel, look forward to continuing our efforts towards a sustainable society in the future,” said Takahiro Sueyoshi, general manager of the Capitol Hotel Tokyu. Aqura Home designs custom wood houses at reasonable prices. As a house builder with an emphasis on wood, the company leads the “Kibou No Mirai Projects” to communicate and make children aware of the importance of craftsmanship. The company has contributed a total of 11,971 top boards for elementary school desks made with thinned wood, and hosts a variety of classes at elementary schools with the aim of deepening children’s understanding of the "wonders of the forest", "wonderfulness of wood" and "pleasures in manufacturing". The Capitol Hotel Tokyu is one of the landmarks of Japan’s hotel industry, with an illustrious heritage dating back to 1963. It is adored by VIPs – including many international music greats, film and pop stars – for its exceptional service and discretion. 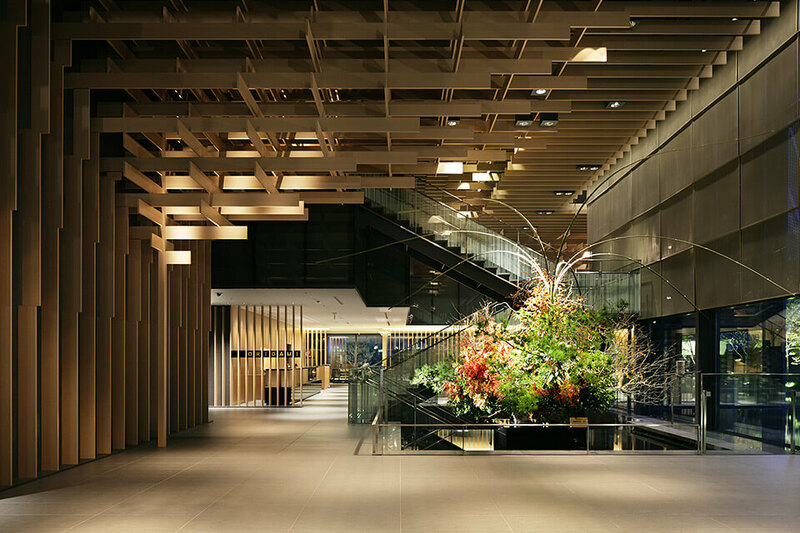 Reimagined by leading Japanese architect Kengo Kuma, designer of the soon-to-open 2020 Olympic Stadium, the Capitol Hotel Tokyu relaunched in 2010 with a refined architectural style and interior design that creates an atmosphere perfect for relaxation, whether travelling to Tokyo for business or leisure.